Author Peter Watson bases his story on the real-life young men and women recruited by Churchill’s Special Operations Executive to be parachute-dropped behind enemy lines. Their orders were to “set Europe ablaze” by helping the Resistance and sending intelligence back to England. The likelihood of an SOE agent living through the war was only 50/50, so it’s all the more impressive how many young people volunteered eagerly, knowing the chances of being captured, tortured and killed. Watson fictionalizes the SOE as SC2, and uses other fictional stand-ins for real-life SOE personalities. But his descriptions of training methods and the details of SOE espionage techniques are based on reality. Matt Hammond is an SC2 operative who was injured in France and smuggled home. Now missing a lung, he can’t go back into the field, so he’s now a trainer for new agents. Madeleine is the recruit he falls in love with, and they have an idyllic few weeks together before she is sent to France, very shortly before D-Day. 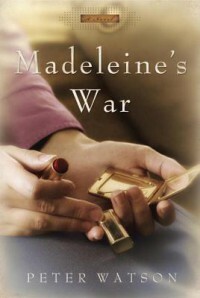 When Madeleine’s contacts with SC2 stop, Matthew is filled with fear that she has been captured by the Nazis. As France is in the process of liberation, he has the chance to go there on a mission and to combine that with his search for her. The story plods for its first half, until Matt heads off to France. After that, it’s far more engaging, and sometimes even exciting. Watson is a historian, and it’s understandable that he wants to incorporate his knowledge in the plot. Sometimes he does it seamlessly, as when Matt explains coding techniques to the recruits. Other times, though, it’s way too didactic and drags the story’s pace down to a crawl. 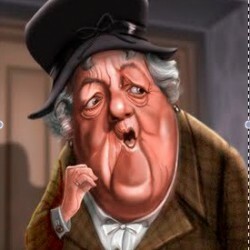 It was particularly odd when Watson had Matt tell Madeleine in 1943 that after the war, “TV” would likely replace newspapers, and that people would get rid of private medicine because they wouldn’t stand for the social divisions that existed before the war. Well, it’s true that Britain went Labor in a big way after the war and socialized medicine, but what does that little history lesson have to do with this story? And did the British ever refer to television as TV? Bits like this were distracting and they made me feel like Matt was a bit of a “mansplainer” as they’re called these days. I wasn’t ever able to warm up to Matt as a character, which is too bad, considering the story is told entirely from his point of view. It also annoyed me no end that Matt remarks on Madeleine’s whisky-brown eyes at least a dozen times, and probably more. To be fair, I’m pretty hard on novels based on the SOE. It’s one of my favorite reading subjects and I’ve read so many fiction and non-fiction books about SOE agents and operations that I am probably overly critical. At this point, maybe I should stick to reading non-fiction, but it’s hard for me to resist anything about the subject.